Built in 1919 by Gill of Rochester for the London & Rochester Barge Co., SCONE is a Thames Sailing Barge of wooden construction. Her current engine is made by Bergius Co.Ltd., 49kw. 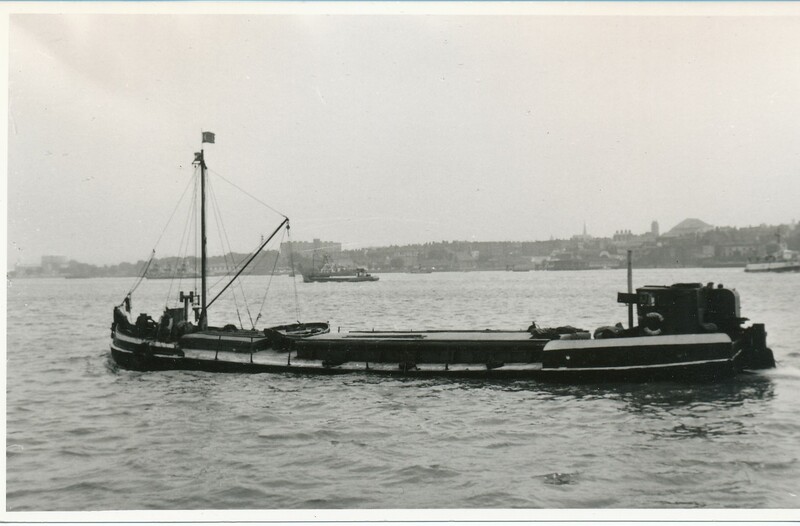 SCONE last traded as a motor barge in autumn 1970. 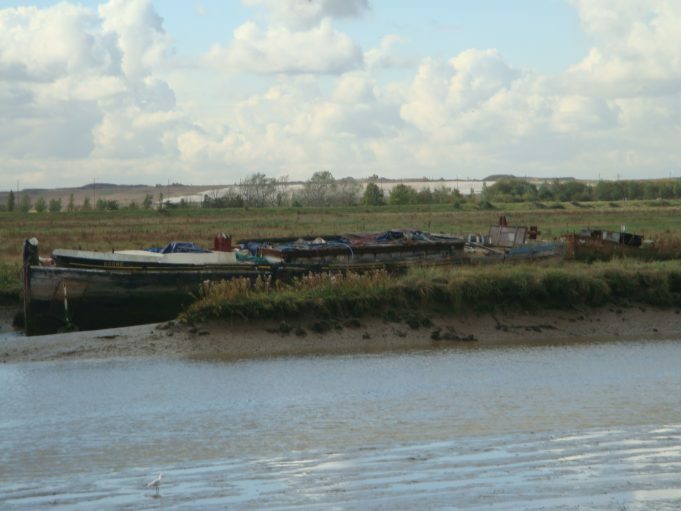 Her last freight was 180 tons of Canadian wheat from Tilbury to Rochford. Her skipper was the late Fred Pettitt of Colchester. SCONE was then laid up and eventually sold as a house boat. In June 1977, she was bought from Geof Ward by Stephen Mallett as a derelict and abandoned houseboat and rebuilt and re-rigged so that she was back on the water with new sails and rigging by May 1979. After a few years chartering and racing , SCONE was put up for sale again in 1983 and was bought by G Heald, a publican from Whitstable. He sailed her briefly before turning her into a static restaurant in London. 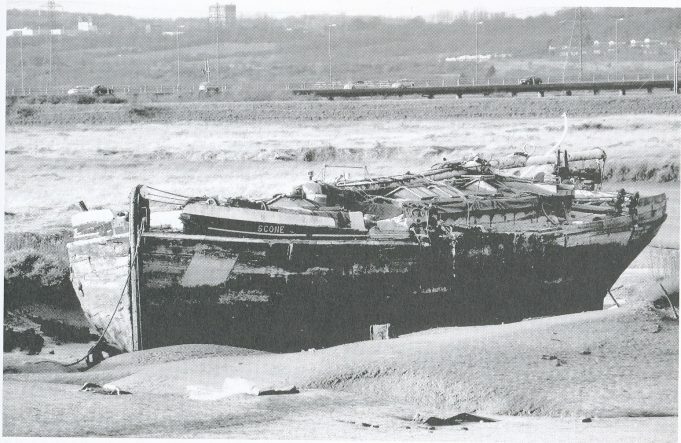 Subsequently , having been sold a couple of times, SCONE was allowed to sink on her moorings in the West India Docks, was raised again, laid up in Barking Creek and is now in poor condition in Benfleet creek.